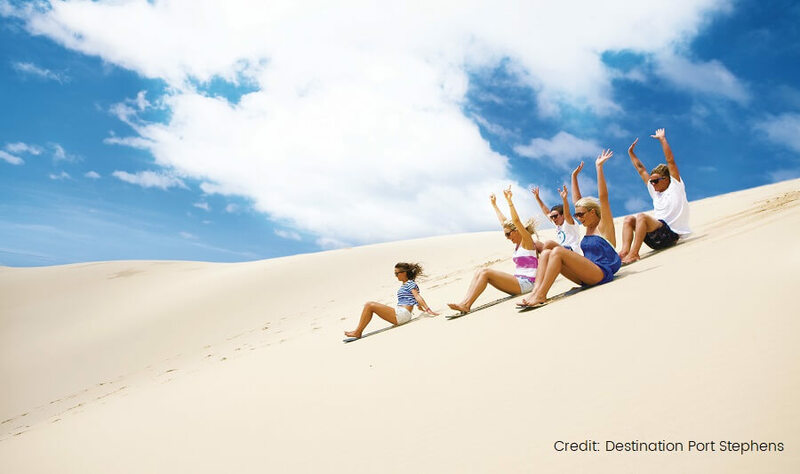 Join the fun by visiting the coastal town of Port Stephens on our Port Stephens Day Tour. You will travel over the famous Sydney Harbour Bridge, en route to the Hawkesbury Ranges, with guided commentary along the way. The Hawkesbury Ranges is our first stop on our Port Stephens Day Tour. The Hawkesbury Ranges are based between Wollemi and the Blue Mountains National Park. The countryside town is lush and rich in history. 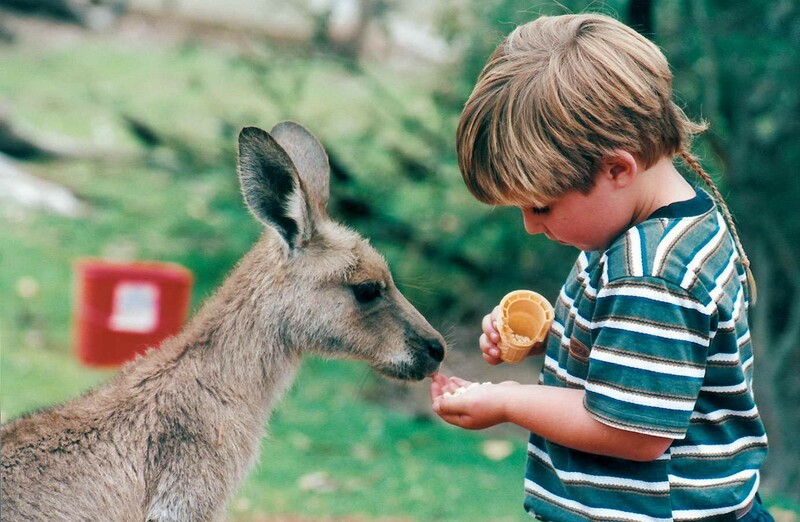 Australian Reptile Park is based north of Sydney on the Central Coast. 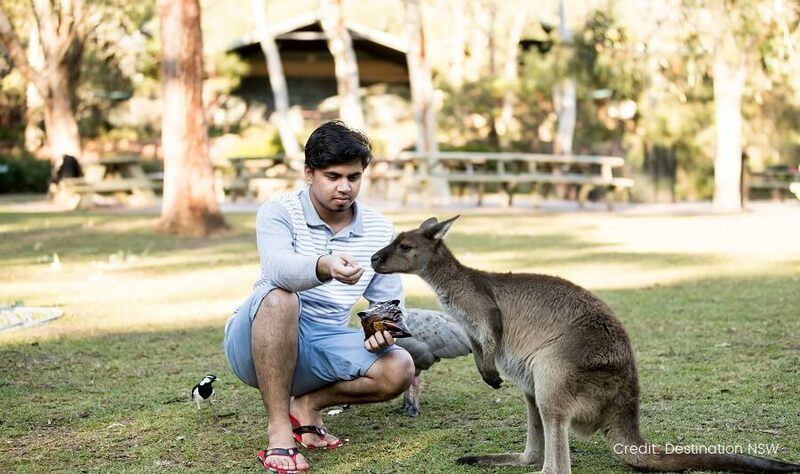 The Reptile Park is a hands-on zoo, which accommodates many exotic reptiles from around the world, as well as many of Australia’s native animals, such as kangaroos. 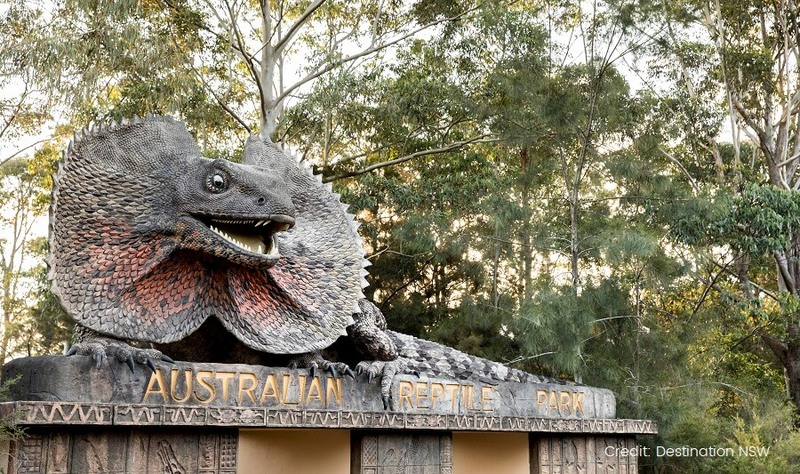 The Reptile Park is also the home of Elvis, a gigantic saltwater crocodile. 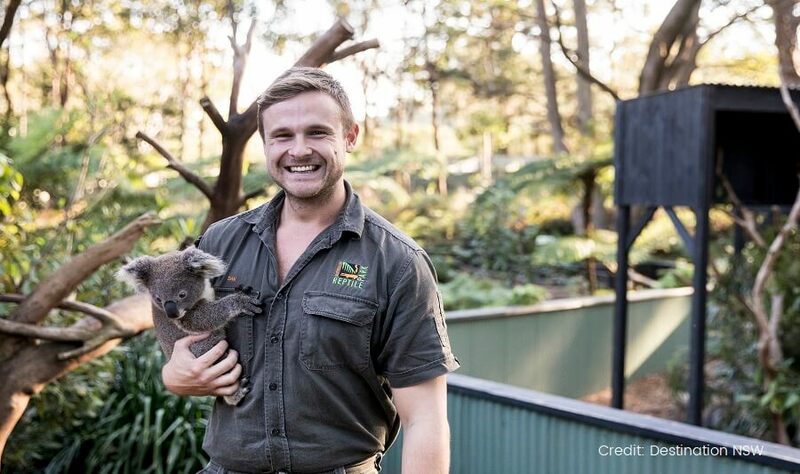 Enjoy live entertainment shows, and themed exhibits such as the snake and funnel web spider milking. 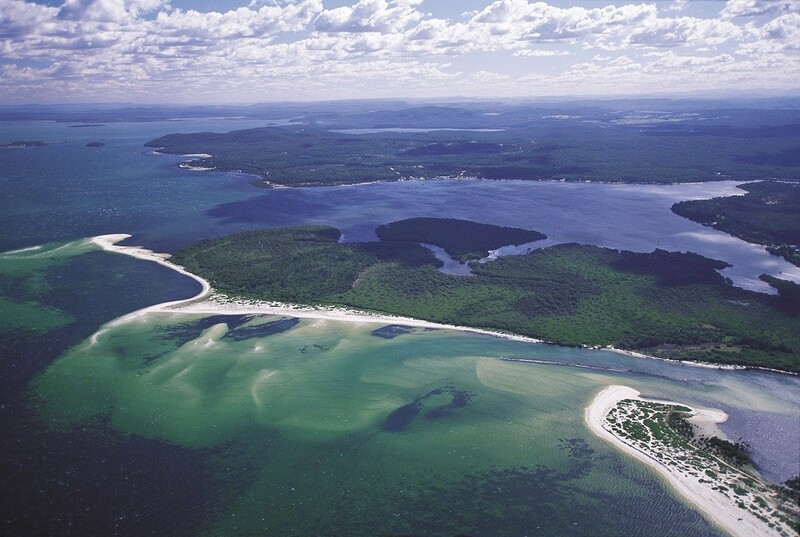 Port Stephens, often referred to as Australia’s Blue Water Paradise is the main attraction of the day. 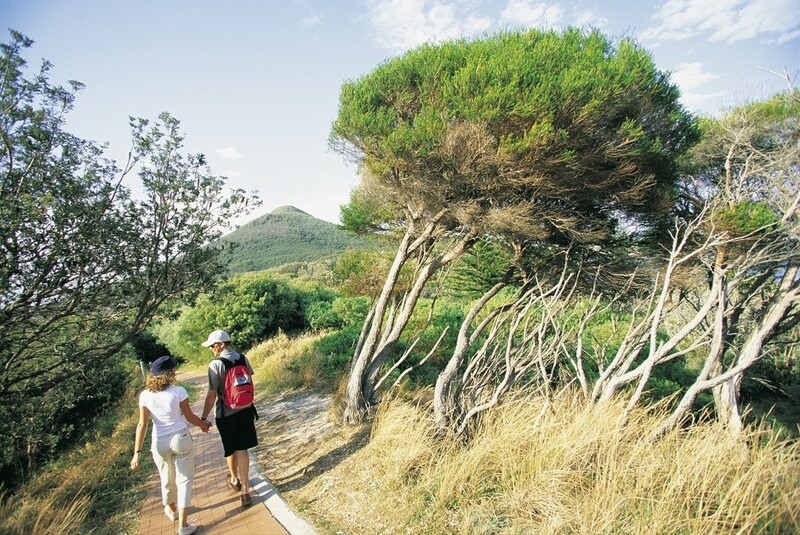 The area is surrounded by golden beaches and has a diverse range of marine life, including their famous dolphins. Dolphin Watching is an experience not to miss on our Port Stephens Day Tour. You will have the opportunity to purchase lunch at your own expense, prior to boarding your dolphin watching cruise. 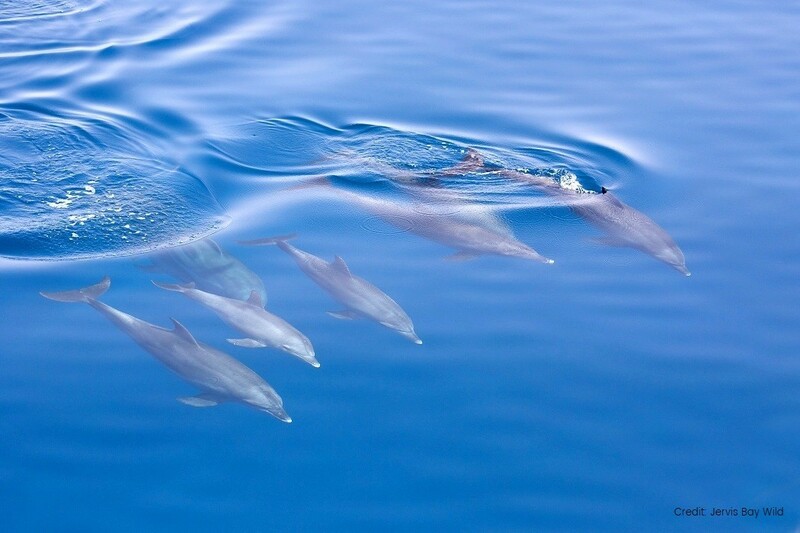 The dolphin watching cruise consists of three separate decking’s which offer different viewing of the dolphins. The Dolphins have several pods throughout the area, which increases the chances of seeing some stunning dolphins throughout the cruise. 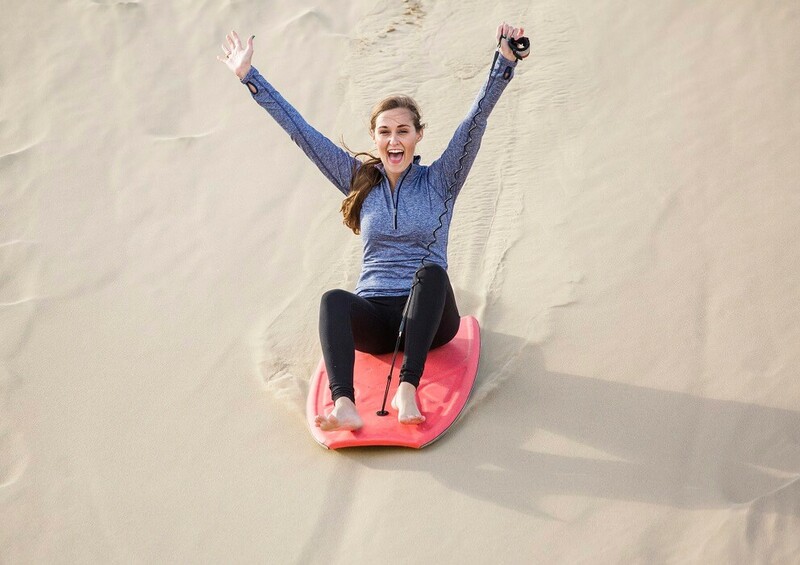 Sandboarding at high speed down enormous sand dunes is a thrilling experience which is offered on our Port Stephens Day Tour. 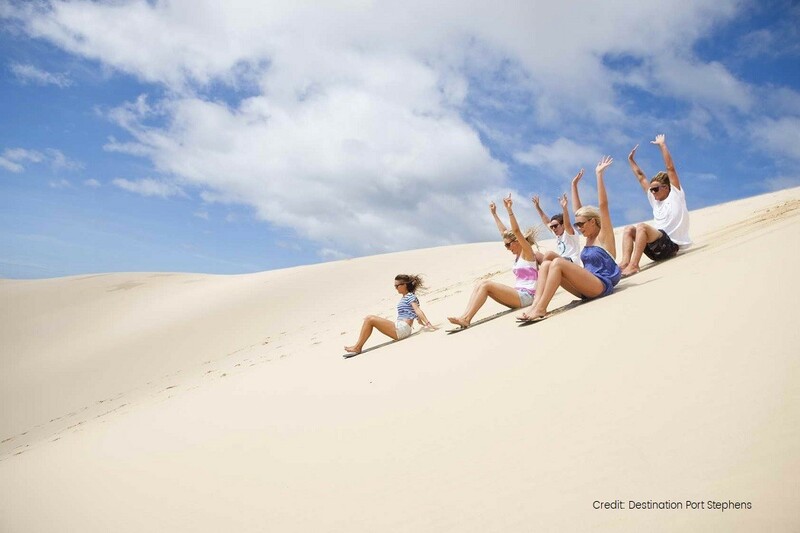 The Stockton Bright Sand Dunes is the largest sand dune system throughout Australia. 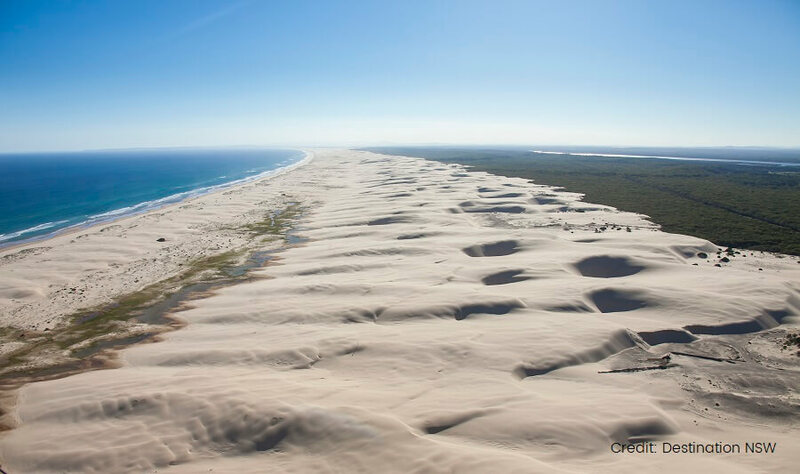 Dunes stretch as high as 40 meters and cover 32km in distance. The landscape is very baron and dry, free of all vegetation. 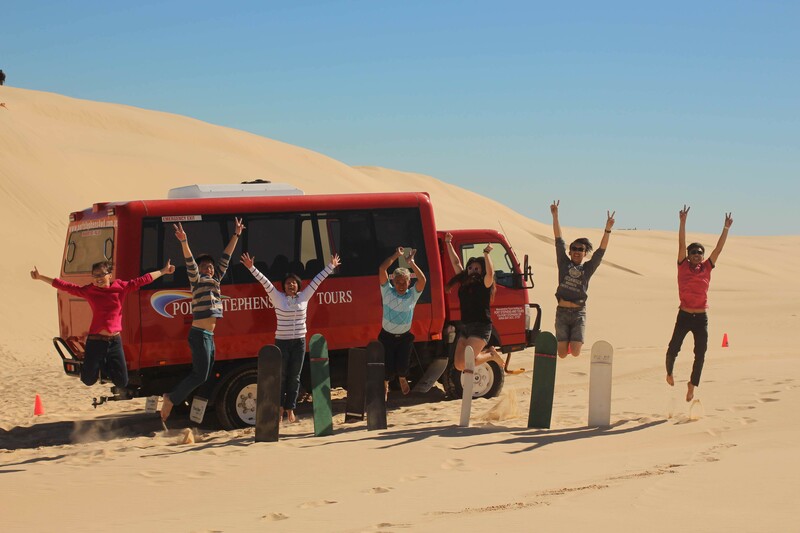 At the end of the day, we return to Sydney with fond memories of the Port Stephens Day Tour.